There's two to argue, there's two to cry. The other has a crayon - just look at the wall! Some days seem endless, patience grows thin. Why was I chosen a mother of twins? 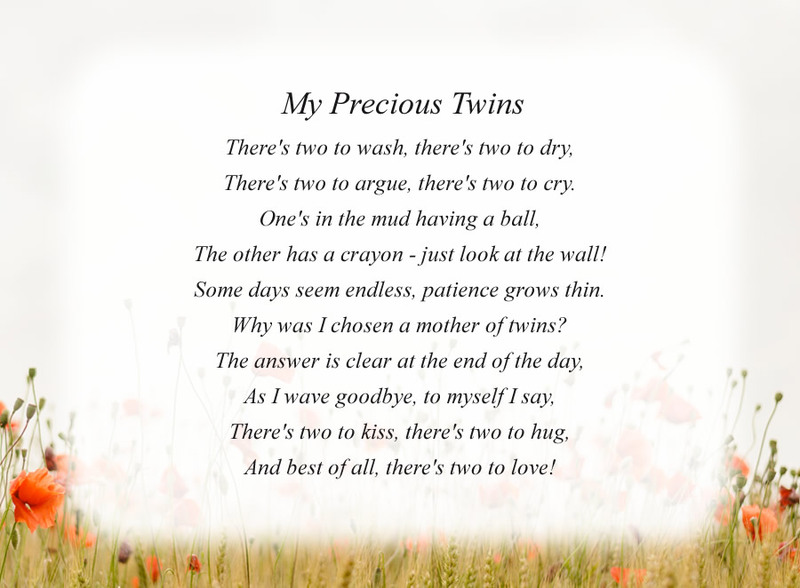 The poem, My Precious Twins, is free and printable by opening or downloading using one of the three links below.